** IT'S THAT TIME AGAIN --- WHAT'S YOUR WORD IN 2019? 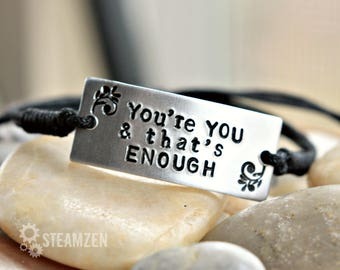 When I created the concept for the "Own your positive word" bracelet, I was afraid no one will get it, but as it turned out, it became one of my popular and powerful items to this day. 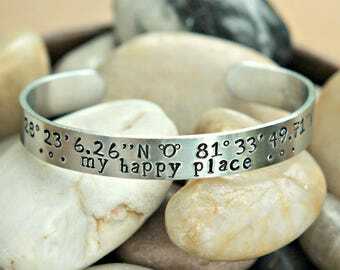 This bracelet became a part of my customer's personal successes and journeys, as it have with me. I WEAR MINE EVERYDAY! It's a great reminder. I feel so honored to create something that made a difference in someone else's life in some way. WILL YOU ALLOW ME TO BE A PART OF YOURS? This is not only a beautifully crafted bracelet that I was able to add a personalized engraving on the back but the beauty and sweet details of the way it was packaged and wrapped for gifting was delightful. It brought the special feeling of me giving this as a meaningful gift up a notch. I highly recommend this seller and was so pleasantly surprised at what I received at such an affordable price. Seriously recommend this shop!!! I cannot say enough good things they made it to the top tier in my book. Bravo. Quick delivery; exactly as pictured and expected. I have a niece in acting school-perfect graduation gift for her! 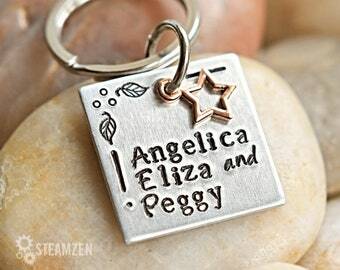 Just finished updating the design on this keychain in time for graduation season! Our popular Chinese New Year Lucky Charm Tassel is back in the shop! And with Chinese New Year almost being here, these would make a great new year gift to welcome year of the Pig loaded with luck! Kung Hei Fat Choy 2019! 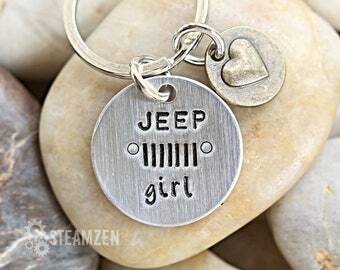 Jeep girl will always be a Jeep Girl... It's a thing and you can't deny it. 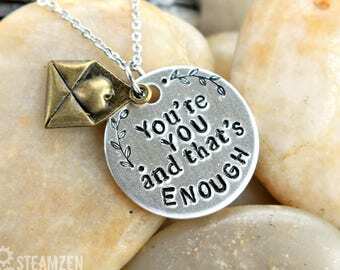 Yuri on Ice is taking anime and fandom world by storm and so is this necklace. It's selling like hot pancakes! I love mixing and connecting two metals together. This is a favorite and a tribute to one of my favorite Sci Fi shows. One of my personal favorites! This diffuser necklace is fashionably chic and stylish and can be worn with any outfit. Besides our fandom and steampunk designs, I also have items that are Zen and inspirational like this silk wrap. Not just selling unique creations but rather sharing a unique experience! Thank you for choosing SteamZen by Golden Flower Creations(GFC) for your Jewelry selections. All creations are of original designs,100% handmade and assembled personally by me: who is also the sole proprietor of this store. My creations are steampunk, geeky, fandom inspired and also original artwork creations which is available during our craft shows. All materials and assemblies are ensured to be of good quality, so you get the best value for your money. Before you finalize your purchase, please take a close look at SteamZen by GFC's store policies to avoid misunderstandings later on. Thank you & enjoy your shopping experience with SteamZen by GFC! Due to the uniqueness of each handmade item created by SteamZen by Golden Flower Creations, All sales are deemed final. A)you release GFC from any damage liabilities caused by in-transit damages, or customer neglect. This include non-refund of shipping fee of undelivered, lost or returned packages due to postal error or neglect. b)If for some reason you want to return an item bought, GFC being sole proprietorship, will not refund but will exchange your original order with similar item or value and any greater difference shall be paid for, before exchange can be delivered and on terms that item is in good condition. You are also responsible for mailing back any returns and should be returned 14 days from date received. c) For international buyers, in cases you opt to not accept or not claim your package due to the customs fee, and items get returned to SteamZen, no refund will be issued. Please consider this information before purchasing item. SteamZen by GFC accepts credit and debit cards and Pay pal payments via PayPal. 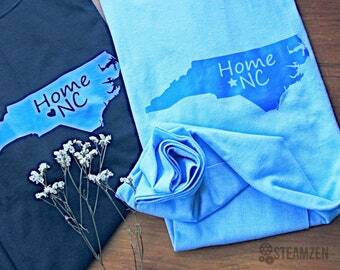 I have a Seller's permit in North Carolina which means, North Carolina buyers will be taxed 7.25% of which will be added to your total amount upon checkout through PayPal. All returned payments will be charged $25.00 returned fee. In-Stock and Ready to Ship Orders will ship within 1-3 days. For bulk custom made orders : Allow 7 business days extra before shipping. If you want next day shipment, call or email for rates. 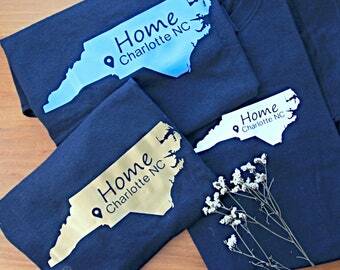 All orders ship via domestic (US) First Class Package and First class International Package rates. And please note that as mentioned in our cancellation and return policy that in cases you opt to not accept your package or choose not to claim it due to the customs fee, and items get returned to SteamZen, no refund will be issued. Please consider this information before purchasing any item in our shop. SteamZen by GFC reserves the right to refuse any orders and will not be held liable for any unfulfilled orders due to website errors, incomplete or unpaid orders. For custom orders: allow 7 days for SteamZen by GFC to create it, then will ship within 3-5 business day after that. If you have additional question that is not covered here, please convo me or email. SteamZen by GFC will response at the soonest possible time. And if for some reason, you are not satisfied with my creations, please resolve it with me first before going to the next level- otherwise this is a breach of liability policy with SteamZen by GFC. I engage certain trusted third parties to perform functions and provide services to my shop when deemed needed, such as mail delivery companies and or, payment processing companies on transactions entered outside of Etsy. I will share your personal information with these third parties, but only to the extent necessary to perform these services. If deemed needed and available, I may store and process your information through third-party hosting services in the US and other jurisdictions. As a result, I may transfer your personal information to a jurisdiction with different data protection and government surveillance laws than your jurisdiction. If I am deemed to transfer information about you outside of the EU, I rely on Privacy Shield as the legal basis for the transfer, as Google Cloud is Privacy Shield certified. Additionally, if you need access, correct or delete personal information held by Etsy, you may contact Etsy at Etsy.com/help for assistance and send a request directly to Etsy.